No need to worry about online frauds when you bank online. Keep your children safe in the internet environment. Single key protection for all Windows, iOS, and Android based devices. 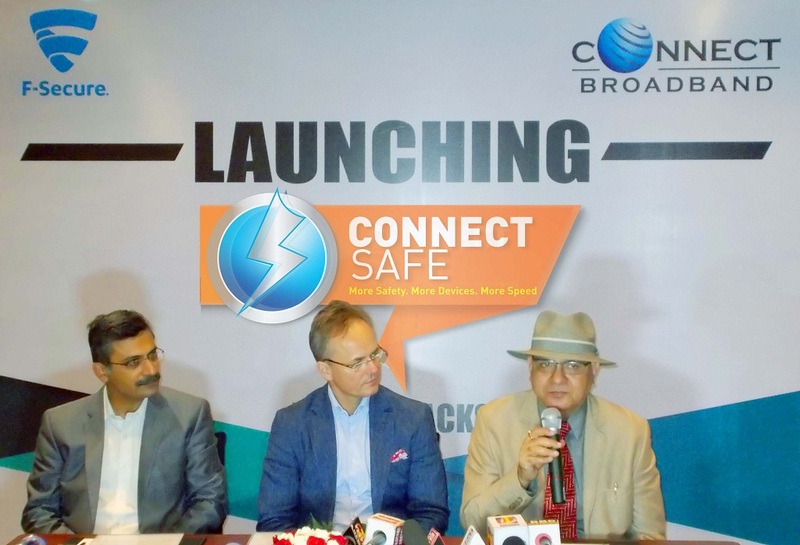 Chandigarh, April 19th 2017: At a time when the number of smart devices is growing rapidly and the need to protect these from dangers of the digital world is becoming crucial, Connect Broadband brings its customers the latest international virus control program for multiple devices - the all new CONNECT SAFE Annual Pack. Just pay once and all your devices stay protected for one year. F-Secure has yet again proved that it provides the best protection to its customers. F Secure antivirus technology has received the AV TEST Best Protection award now five times. The same technology is used in CONNECT SAFE. F-Secure TOTAL also won the most innovative antivirus product of 2017 in Digital Citizen Awards. A first in India, the product is designed to respond to the security needs of multi-device households and is a one-stop solution to secure all smart devices, from PC to Smartphone and Tablets. Developed by Finland based F-Secure Corporation, the product has been introduced by all the leading European telecom operators and is a raging success in all the European and Latin American markets. The more devices a household has, the more complex it is to secure each one and the personal information on them. Picking individual security solutions for each individual device and family member is not an easy task. Connect SAFE has been designed to respond to the security needs of multi-device households. Connect SAFE provides complete protection for safe shopping and banking experience, privacy protection, tracking for lost devices, device security and much more. Furthermore, it blocks hackers to maintain privacy of data, safeguards the Internet for children - on PCs, tablets, MAC, IOS and android phones thereby reducing service interruptions and security hassles. Mr Arvind Bali, Director and CEO, Connect Broadband said, "We take pride in bringing best value to our customers through our strategic tie-ups. Partnership with F-Secure enables us to provide world class multi device security to our existing and prospective users in Punjab. Connect SAFE has been designed to respond to all the security needs of multi-device users, in-line with the growing usage on smart devices and the increasing threats of viruses, malware and spamware." Mr Kristian Jarnefelt, Executive Vice President at F-Secure Corporation said, 'We are delighted to launch this revolutionary product with Connect Broadband in India. The product offers peace of mind by helping customers to connect to the Internet with confidence, wherever they may be, they can avoid digital threats on PCs, Mac's, smart phones and tablets. We are affirmative that internet users will have the freedom to use internet anywhere with utmost security."